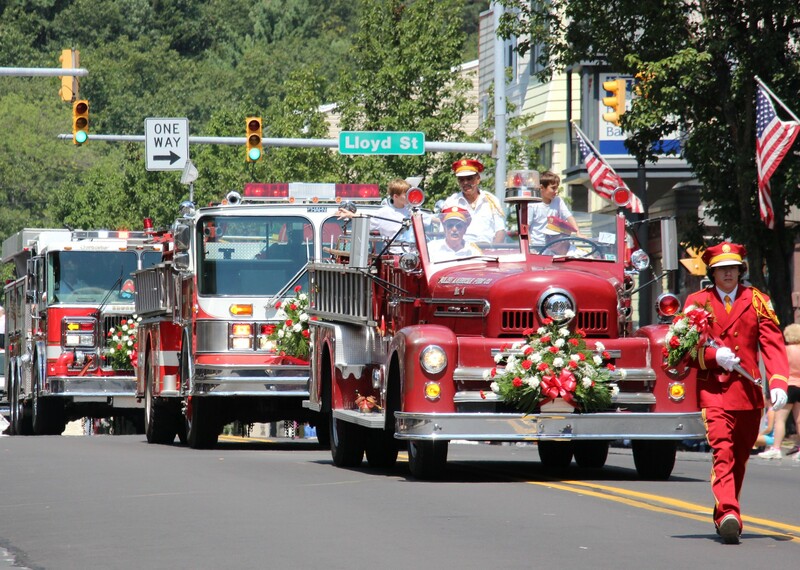 Below is our TamaquaArea.com video and link to our 1,600 photos of the 61st Annual Schuylkill County Firefighters Convention Parade held Saturday, August 15, 2015 in Shenandoah. The Polish American Fire Company hosted the parade. Parade Grand Marshal was Joseph W. Chernesky. Click HERE to view Committee Awards. Click HERE to view Trophy Awards. Click HERE to view In-County Awards. Click HERE to view Out-Of-County Awards. Click HERE to view In-or-Out of County Awards. Since I took over 1,600 photos of the parade, I opted to put all my parade photos on my TamaquaArea.com SmugMug page instead of this webpage. As always, all photos and videos are free to download, save, print or use how (the person in it) wants. Click HERE to view all 1,600 TamaquaArea.com photos of the parade. Or click HERE to view photos of the first-half of the parade on Facebook. Or click HERE to view photos of the second-half of the parade on Facebook. Click HERE to view Convention Memorial Mass photos via JC Kriesher on FireAndFilm.com. Click HERE to view judging and pre-parade photos via JC Kriesher on FireAndFilm.com. Click HERE to view parade photos via JC Kriesher on FireAndFilm.com. Click HERE to view post-parade and awards photos via JC Kriesher on FireAndFilm.com. Or click HERE to view parade video on YouTube via Chuck Kreiser. For more information about the convention and parade, visit http://www.polishamericanfireco.org/Schcountyconvention.html.